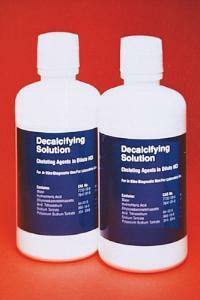 "For the removal of calcium from histological sections. Requires no heat, electricity, or other aid to decalcify bone tissue. Decalcifying solution is a hydrochloric acid/EDTA formulation that provides rapid decalcification.